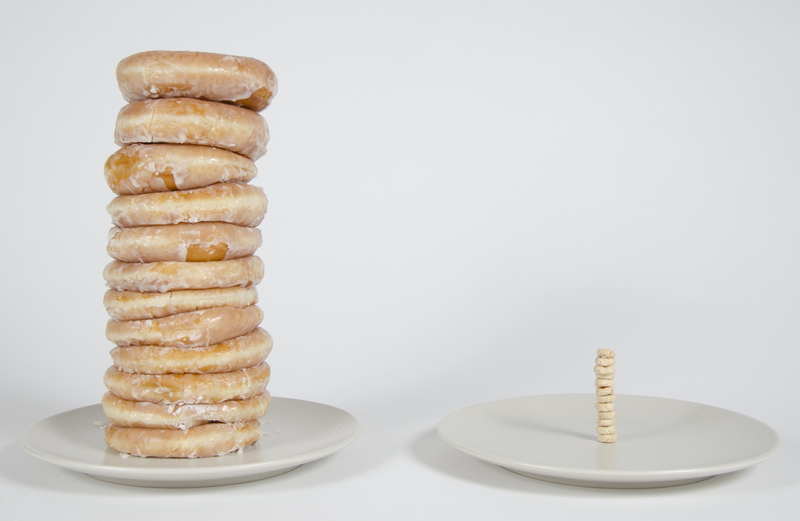 I now present the ultimate act of doughnut juxtaposition: a stack of a dozen doughnuts next to a paltry stack of a dozen Cheerios. Poor things don’t stand a chance in the shadow of all that sugary goodness. In other news, I’ll be taking this project in a new direction starting tomorrow. Page – check your nutrition facts on that pop tarts vs donuts…they are actually the same…but then again, perhaps Harris Teeter but some extra stuff in theirs that Kellogs did not?? ?